Every year around this time, I am dying to go somewhere warm and tropical. Heck, I'll just take somewhere warm, it doesn't need to be tropical. And every year we never make a trip to a warm locale a reality. But this year I am trying with every fiber in my being to make it happen. 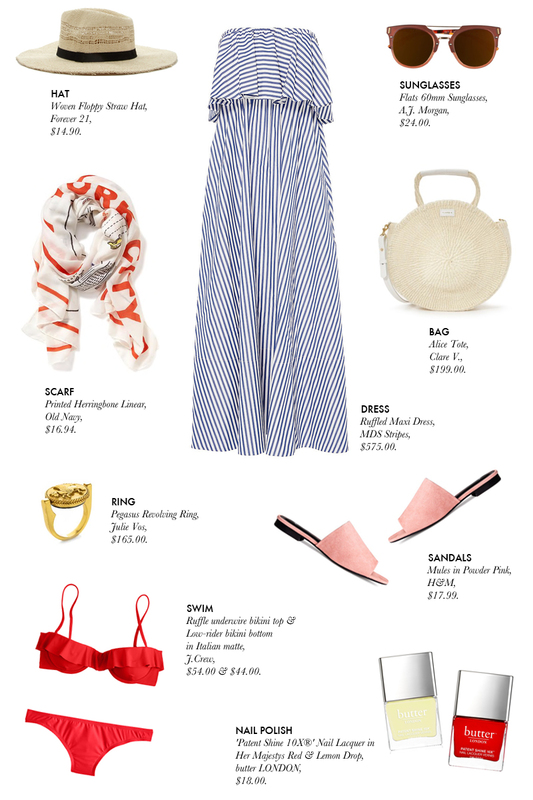 With thoughts of getting away, I conjured up this look that I would love to wear and would work at any beach destination (from Miami to the South of France, it could easily work anywhere!). Then in the summer months, take this look out and wear it all summer long. Wish me luck in trying to plan a quick getaway for me and the hubby!